Book wars is a weekly feature co-hosted by A Life Bound By Books and Much Loved Books. 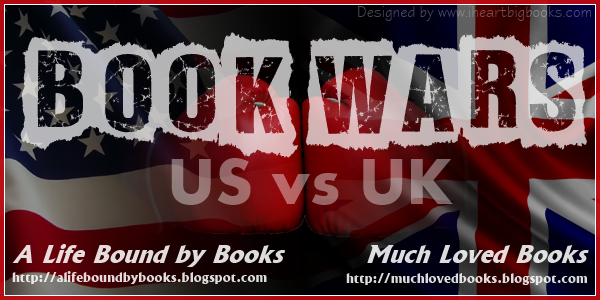 It's a place where readers can discuss the differences that we sometimes see in book covers here in the US vs. the UK. At the bottom of each post readers are encouraged to VOTE for their favorite! For more information please check out the first post.